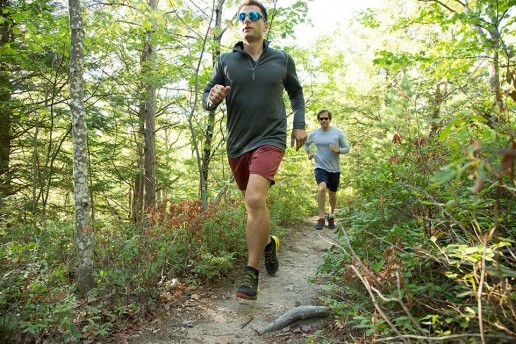 Whether you spent the winter hitting the gym, on the slopes, or binging Netflix, your body could probably use a spring tune-up in preparation for warmer weather and lots of summer hiking. 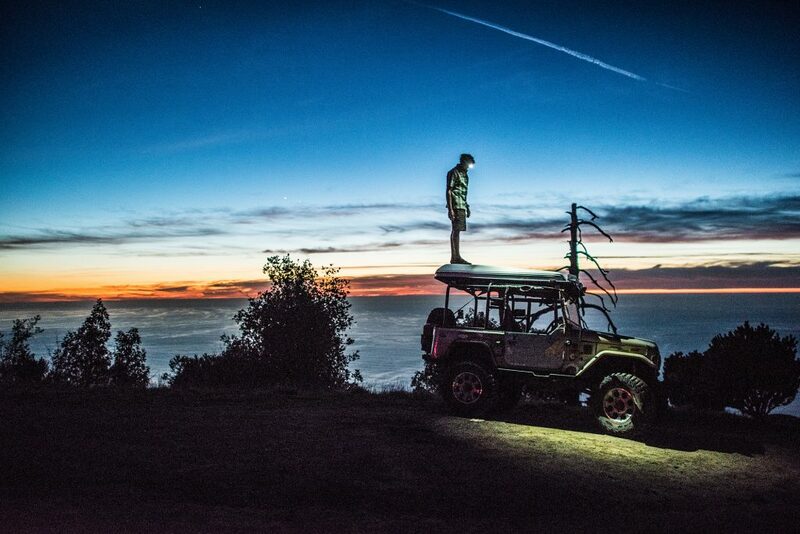 Hiking seems much more enjoyable when you can focus on the stellar view and keep up a conversation with your buddies, rather than thinking about your next break while you huff and puff uphill. Plus, you’ll decrease your chances of getting injured if you’re less fatigued and more physically prepared. Before you start anything, make sure you limber up. Stretching is crucial to prevent muscle imbalances and to recover from hard workouts or hikes. Remember, dynamic stretches are meant for warm-ups (arm circles, leg swings), and static stretches (ones without movement) are for cooling down. Hiking relies greatly on your calves, hamstrings, quads, and IT band, so make sure you’re keeping these muscles happy. Here is an extremely effective quad stretch: Get on one knee (proposal style) near a wall, with your back facing it. Scoot back, until the knee on the ground is a few inches from the wall, and fold the bottom of your leg up behind it. You’ll likely have to lean forward to get into this position. Then, slowly start to lean back while straightening up. Be careful not to go too far too fast. Eventually, your back should be parallel to the wall, although this may take some practice. Hold this stretch for a few minutes, and focus on steady breathing. It’s helpful to do this on carpeting or to place a mat under your knee, but you can even do it outside against a tree. Most of the moves listed below include weights, but if you don’t have access to any, you can wear your hiking pack stuffed with books or water bottles. You may also opt for beginning without weights, as your own body weight will provide good resistance. The moves may seem difficult at first, but the goal is to work multiple muscles at once while raising your heart rate—similar to what your body experiences during a hike. You can work these into your normal routine by doing three sets of 10 to 15 reps or by alternating intense periods of “work” with shorter periods of rest. How it Helps: This will build the speed, strength, and aerobic capacity needed to scale mountains by fully engaging the lower body and core. 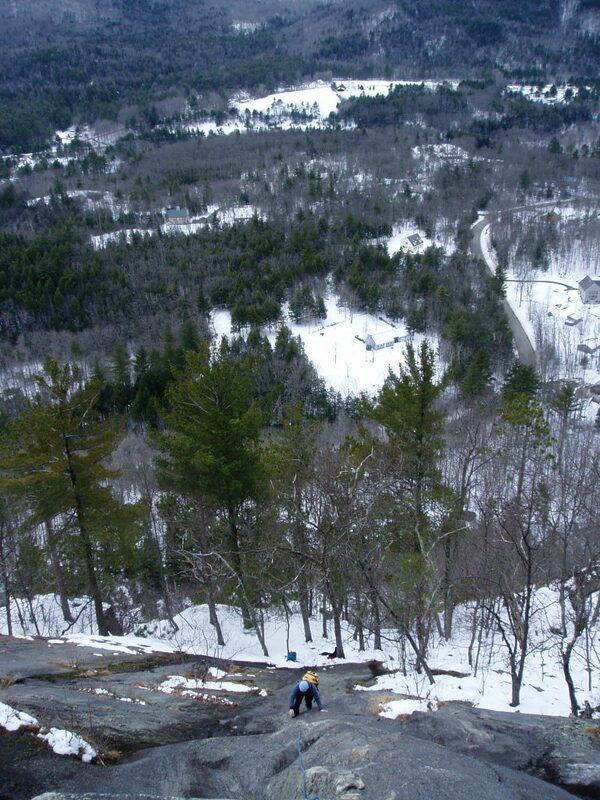 The explosiveness of the movement will help you powerfully climb those steep sections. To Do: Stand with your feet wider than your shoulders and your toes pointed slightly outward, and hold a set of dumbbells between your legs. Squat low and pulse three times before simultaneously jumping and spinning clockwise in the air. The goal is to land 180 degrees from where you began, maintaining the same wide stance. Squat low, pulse three times, and again jump and spin, but this time, do it in a counterclockwise motion. 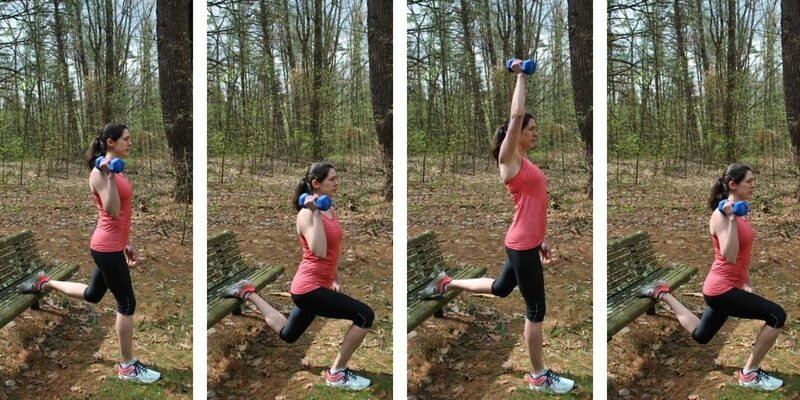 If your balance isn’t great, you might want to practice these a few times without weights. How it Helps: Increases leg power and speed and improves core stability while you move. 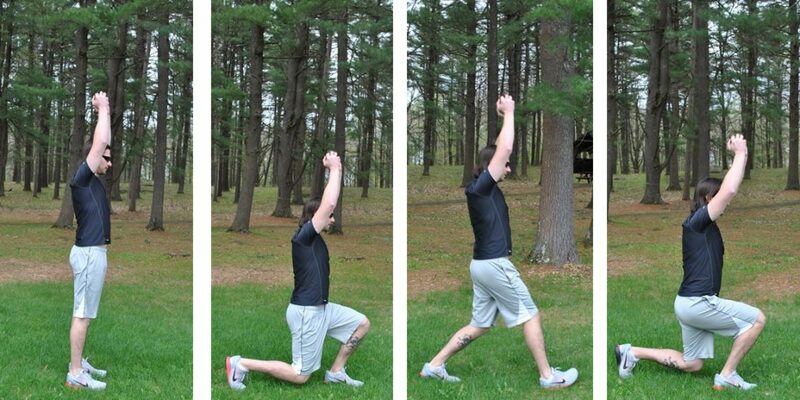 This results in a stronger, faster, and better-balanced hiker. To Do: Start with your feet together and a dumbbell or plate in your hands. Raise the weight overhead, and with your right leg, take a large step forward into a lunge position. Push off your back (left) leg, and then, bring it forward past your right leg into another lunge position. Keep the weight raised overhead the entire time. Keep alternating legs, in a walking manner. Try to move between legs fluidly, not letting your foot hit the ground while you transition into the next lunge. This may be difficult at first, but will help improve balance. Alternatives: Hold the weight out in front of your chest, or hang it at your side. How it Helps: This total body conditioning and functional movement engages numerous muscles while increasing cardiac capacity. This makes a strong hiker who isn’t sucking wind at the first incline. 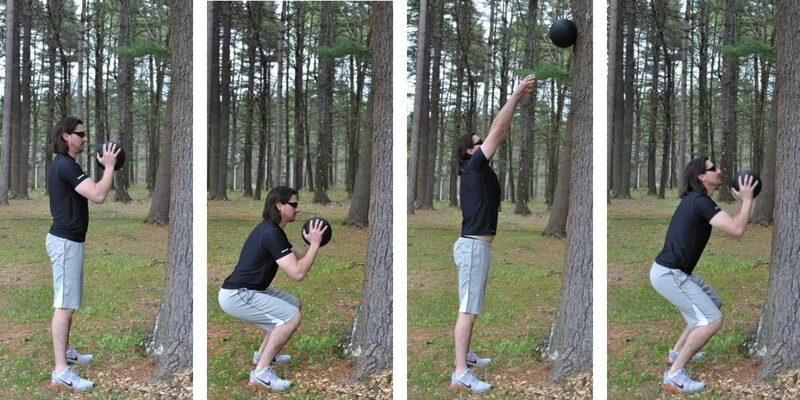 To Do: Stand facing a wall, a few inches in front of it, while holding a weighted medicine ball at chest level. Sit back and bend into a deep squat position, keeping the ball at chest level. Rise up quickly, and throw the ball above your head, so it taps the wall. Catch the ball at chest level and repeat. Try getting in a few sets of these first thing every morning. No medicine ball? Fill a basketball or soccer ball with clean sand and patch it up. How it Helps: Increases leg and arm strength while improving balance, which aids you in traversing steep and uneven terrain. 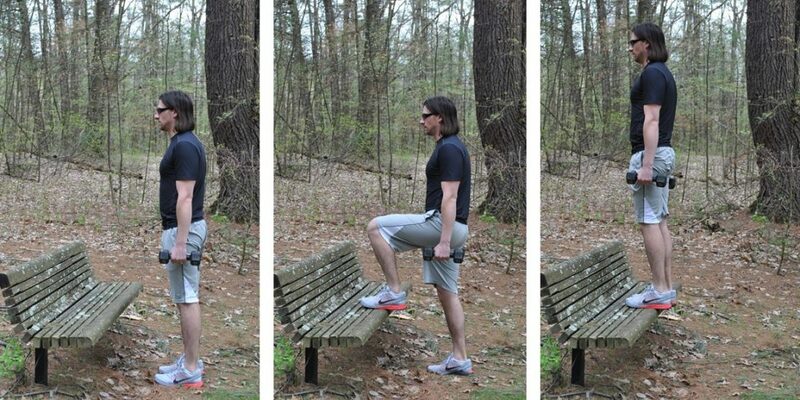 To Do: Stand a few feet in front of a bench or step, with the toes of the left foot on the bench and a dumbbell in your right hand at shoulder height. Lower into a deep lunge, briefly pausing at the bottom of the movement. Rise back up, pressing the weight above your head as you do. Repeat, lowering the weight to your shoulder as you lower into the lunge again. Do a set of 10 to 15 before switching legs. Alternative: Hold a set of dumbbells at your sides. How it Helps: Strengthens your core, which helps to keep you stable while hiking and to prevent back injuries. To Do: Get in a high plank position (arms fully extended and palms on the floor). Bring your right knee to your left elbow. Return to plank position. Bring your left knee to your right elbow. When returning to plank position, be sure not to drag your foot or lazily put it back into place. You should be fully extending your foot backward, in a smooth and controlled motion. How it Helps: Improves balance and posture by strengthening your core. Hiking with good posture and a solid core is key to preventing injuries, slips, and falls. To Do: Stand with your back against a wall, with your feet slightly wider than your shoulders, as you hold a dumbbell or plate with both hands. Slowly slide down the wall while walking your feet out until the top of your legs are parallel with the ground. Your feet should be far enough out that your knees do not extend over your toes. Keeping your shoulders against the wall, move the weight from the right side of your body to the left, gently touching the wall at each side. 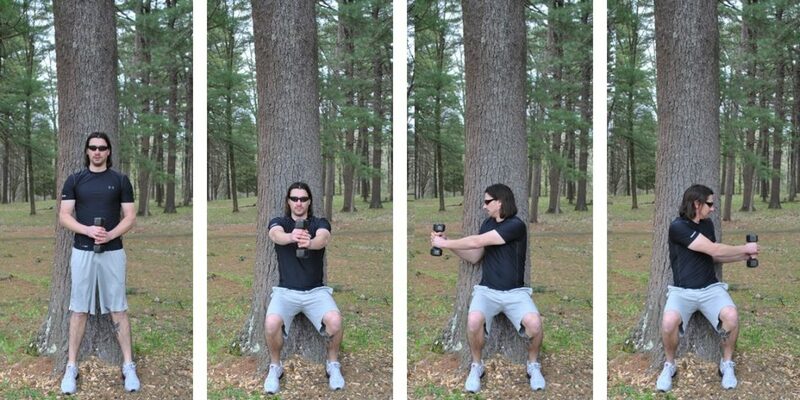 To get some fresh air and increase the burn, do these outside against a tree, and try to reach as far as you can around the side of the tree. How it Helps: Strengthens the lower body while increasing your range of motion and improving balance. 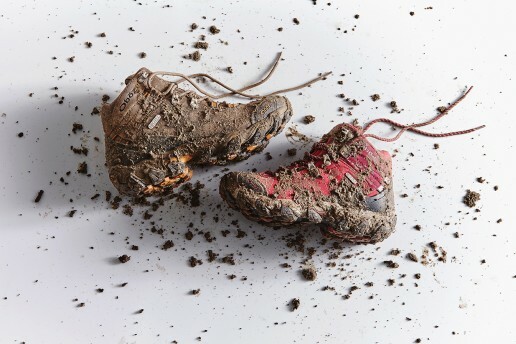 This allows hikers to tackle tough terrain with confidence. 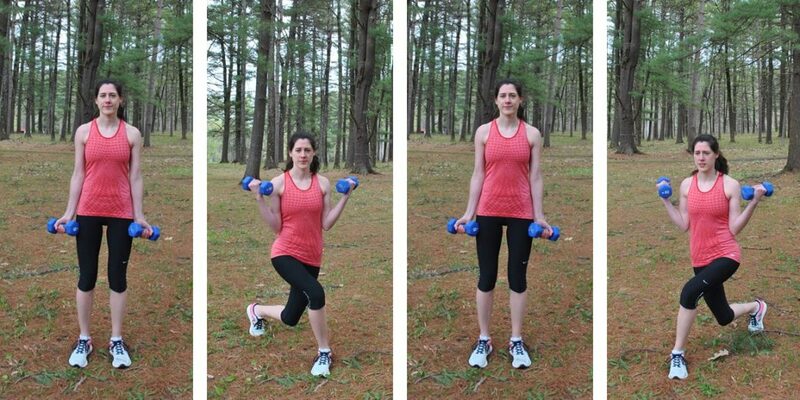 To Do: Begin standing with your feet together, holding a set of dumbbells at your sides with your palms facing forward. Sweep the right leg behind and past the left leg, lowering into a curtsy. As you descend, curl the weights up, so your forearms are parallel with the ground (bicep curl). Push off the right leg, lower the weights, and return to your starting position, pausing only briefly before switching to the left leg. How it Helps: Climbing stairs greatly mimics climbing a mountain, making it an ideal way to train for hiking. Step-ups are a multi-joint movement that will strengthen your legs and stabilize muscles that keep you strong and limber on your feet. To Do: Get after ‘em wherever you can: in your office building, a nearby stadium, or the stair climber at the gym. Have a shortage of stairs? Do step-ups instead. All you need is a bench or a sturdy surface higher than where you are standing (12 inches or higher is preferable). Hold dumbbells at your sides, and alternate the foot with which you step up, or do sets of 10 to 15 on each leg to really feel the burn. 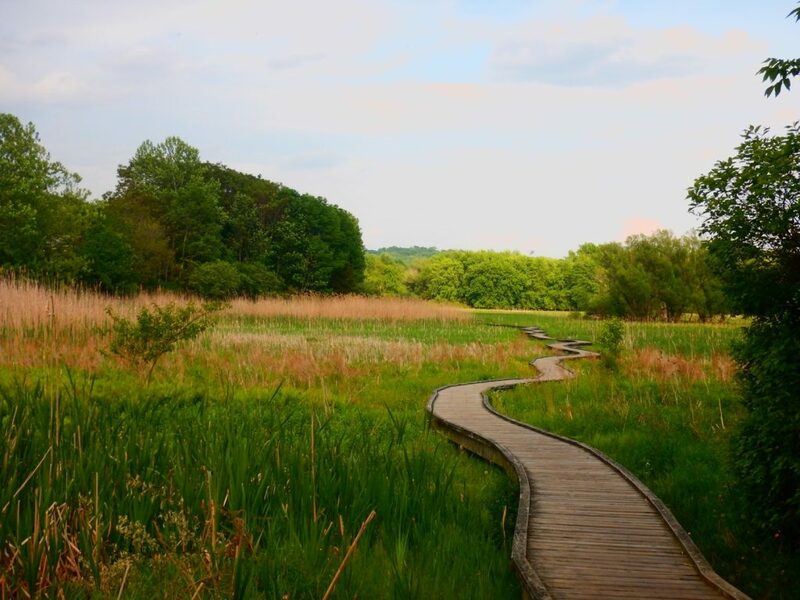 How it Helps: Hiking can really put your cardiovascular system to the test and is a great way to build endurance, allowing you to take fewer breaks and comfortably keep up conversation. To Do: Hit the trails to get comfortable moving on uneven terrain and navigating obstacles like rocks and roots. Trail running also helps to strengthen your ankles and the muscles, ligaments, and tendons that stabilize them while you hike. This helps to prevent common injuries like a sprained ankle. You can also train with interval runs, or fartlek (“speed play” in Swedish), by alternating periods of sprinting with periods of walking or light jogging. And, don’t forget to work hills into your run. Not only will hills amp up the cardio quickly, but they also strengthen leg muscles. Try to run at least three days per week: a longer trail run done at a comfortable space, a 20- to 30-minute interval run, and an exceptionally hilly run. 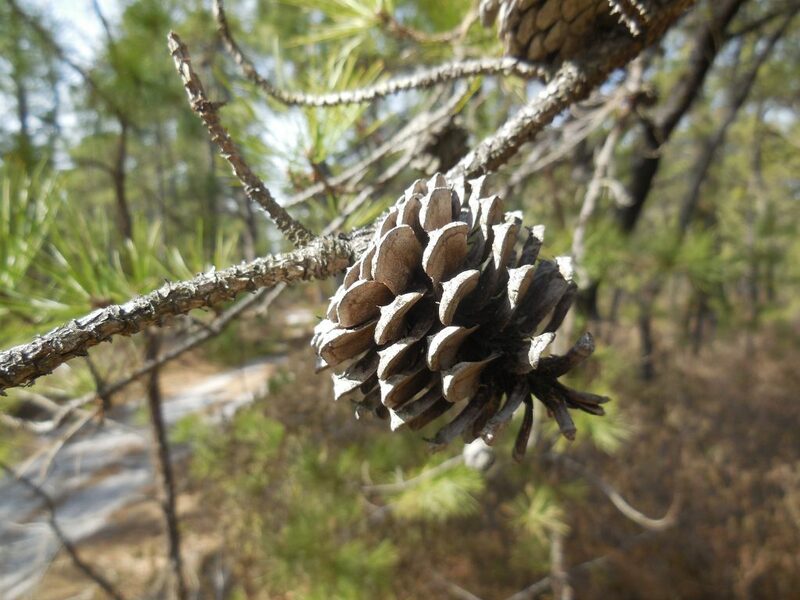 You can’t deny the benefits of Leave No Trace (LNT) camping and hiking. 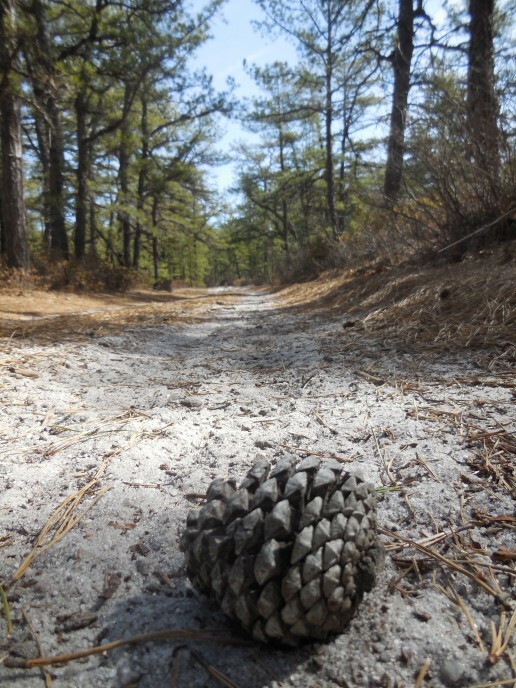 Most who enjoy the outdoors agree that carrying out everything you brought in is the only way to keep trails and campgrounds litter free and natural for your next visit and for others years down the road. 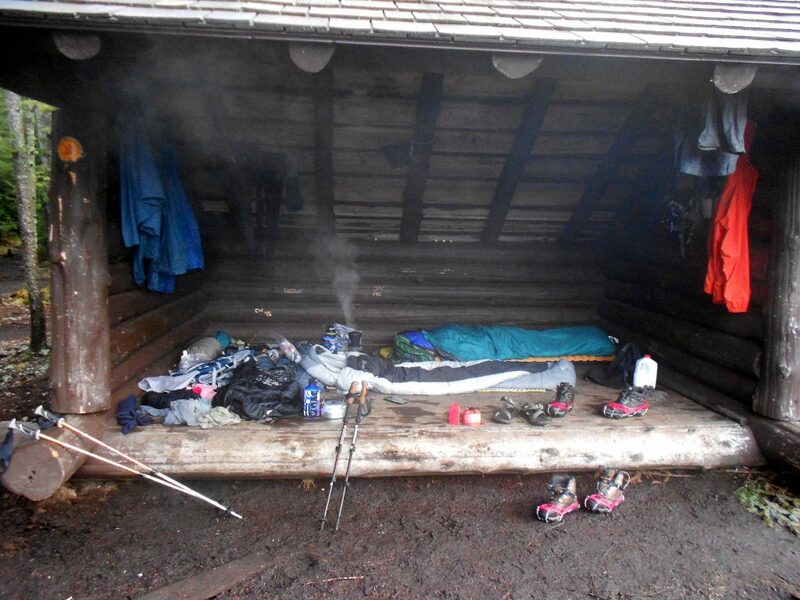 Nothing is worse than arriving at a remote location after a great day of hiking, only to find a trashed campsite. 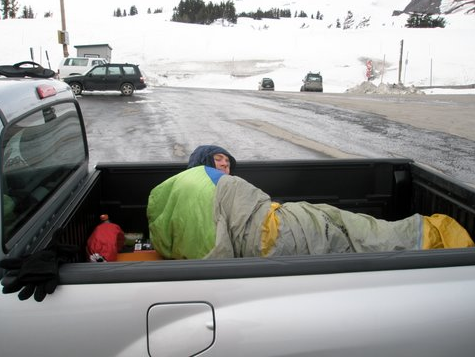 At a time when people are increasingly mobile and are seeking to explore more remote areas, the “pack-it-in, pack-it-out” philosophy is more important than ever. 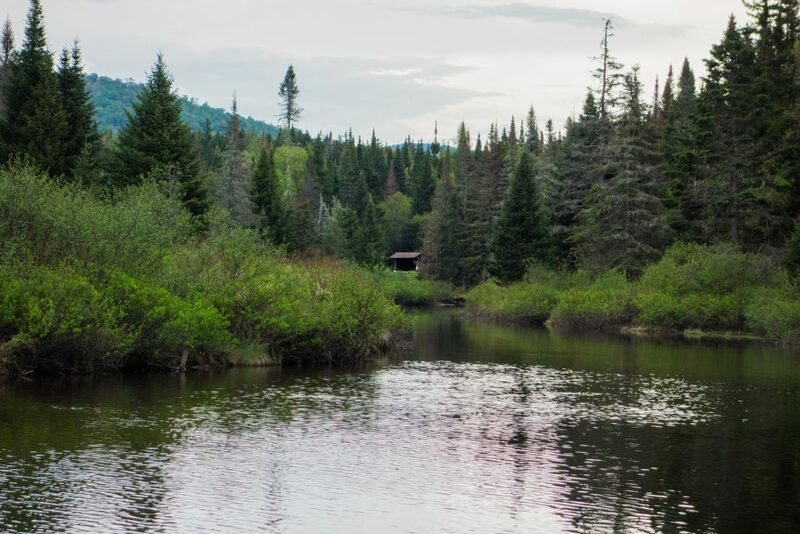 Some of the nicest campsites I have ever found have included a great view of a nearby lake, river, or stream. 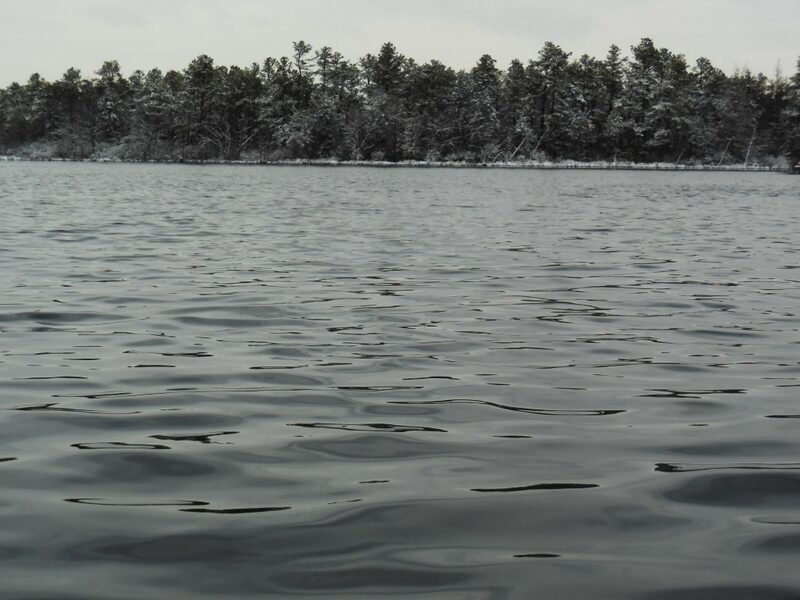 But, have you ever wondered how your camp might be impacting those waterways you walk beside, swim in, or enjoy paddling? 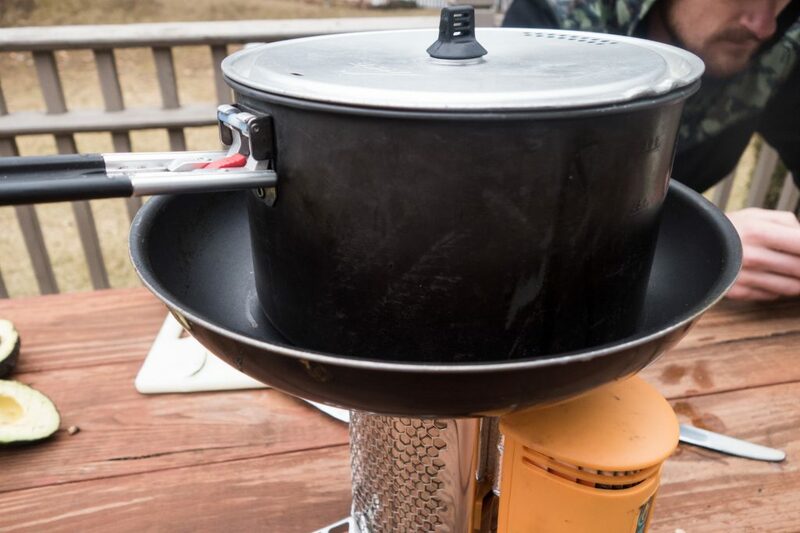 For one, keeping your cookware and yourself clean on the trails with conventional soap has unforeseen consequences for water recreation, for wildlife, and for our waterways’ health. What are Phosphates, and How Do They Work? Phosphorus occurs naturally in soils and is one of the environment’s most important nutrients. Phosphates, however, are refined and used in most everyday soaps and detergents. These act as a builder, which enables the soap’s cleaning components to work. In action, this compound removes films, sweat, or grease, allowing you to get yourself or your dishes clean. While algae and aquatic plants need naturally-occurring phosphorus to grow and survive, it is possible to have too much of a good thing. Understand that phosphorus from humans doesn’t just come from soaps and wastewater. As rain runs off the land into waterways, large amounts further wash into streams and rivers. In areas where agriculture uses phosphorus-based fertilizers, many nutrients end up in a body of water as a result. 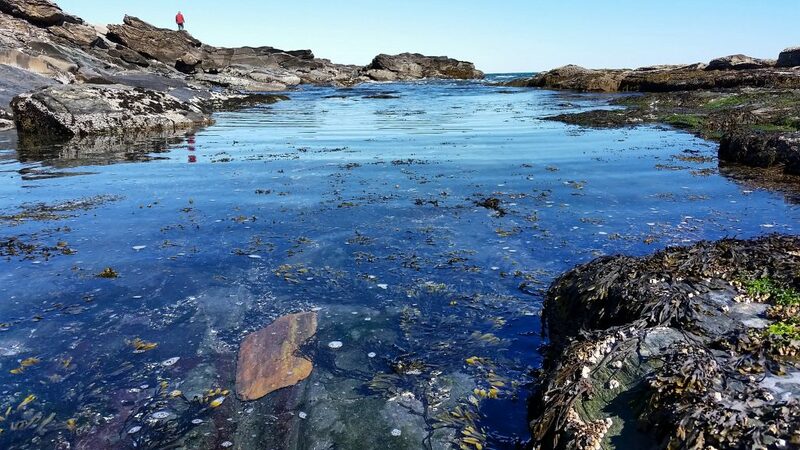 Excess quantities generate significantly more algae and aquatic plants, which then negatively impact wildlife and recreation. How does this hurt waterways? Too many phosphates can harm water quality, clog up waterways with excessive vegetation, and create oxygen-deprived dead zones. 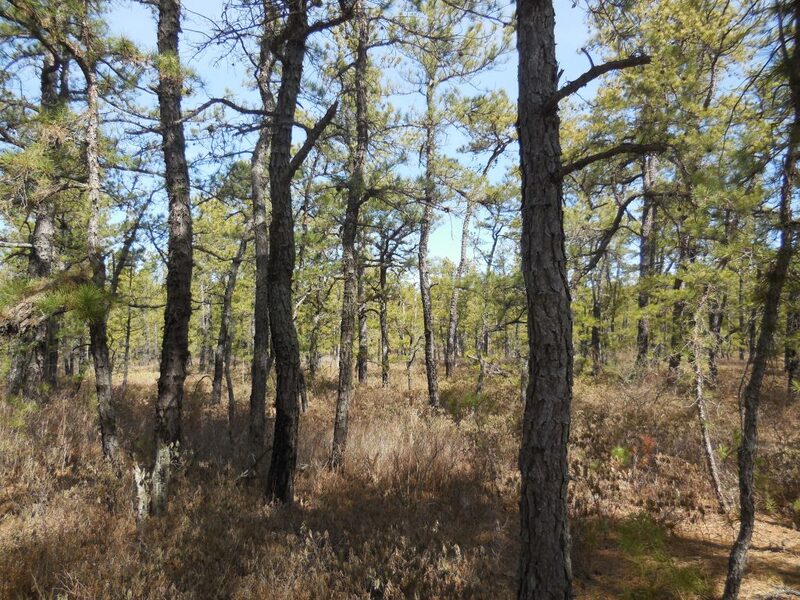 Over time, this change creates dirtier water and reduces aquatic wildlife. 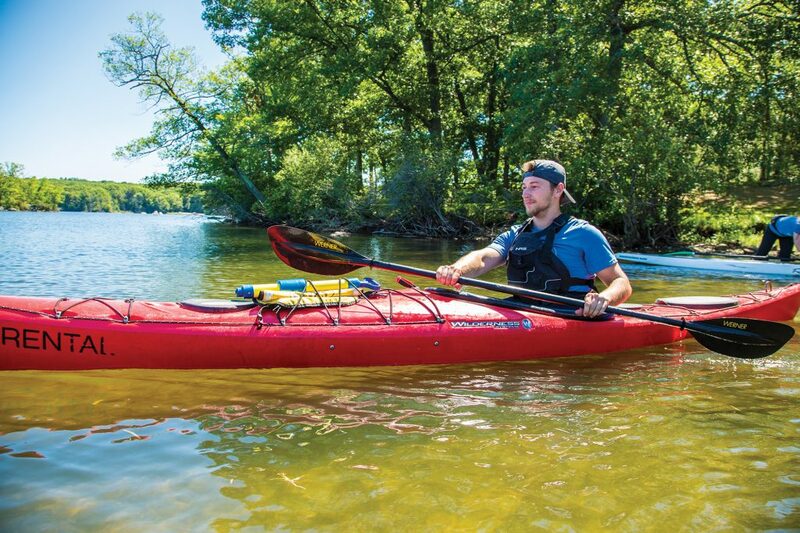 Anyone who has tried to paddle along a lake or river with too much vegetation can relate to the frustration of constantly getting caught in the weeds or cleaning off a heavy paddle laden with plants every few strokes. 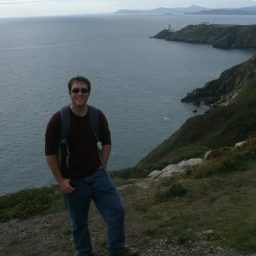 How Can You Apply LNT to Waterways? EMS carries Sea to Summit Wilderness Wash and Dr. Bronner’s, two great all-purpose soaps in easily packable, small containers. Both are free of harmful chemicals and phosphates and are biodegradable. Soaps are usually deemed biodegradable if bacteria can break them down to at least 90-percent water, CO2, and organic material within six months. This simple step ensures you aren’t adding anything unnecessary to the land and waterways while you are out there enjoying them. Both of these brands come in small bottles, and the soap is highly concentrated and designed to be diluted. So, save yourself a few bucks, and reduce your impact by diluting a few drops in a small pot before you wash your dishes or your face. If you follow this rule, that green soap will last for many more trips to come. Biodegradable soaps cannot decompose properly if they are washed directly into a body of water. Instead, the breakdown from bacteria and microbes occurs in the soil. 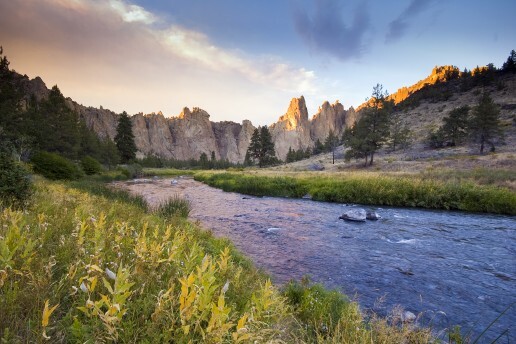 To ensure you are reducing your footprint, do your washing at least 200 feet away from a water source. Then, try to dump wastewater into a hole a few inches deep, which can be covered when finished. This way, nature can work its magic and break the soap down before it washes into the stream. 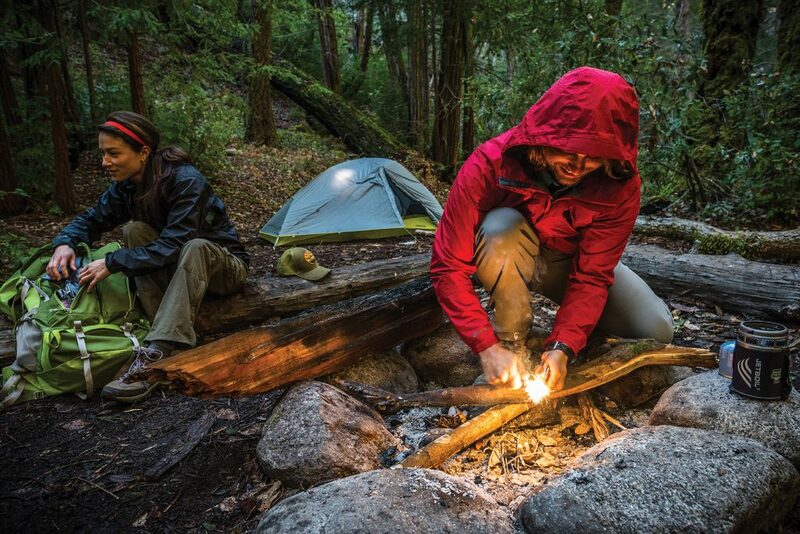 As outdoor-lovers, we are constantly looking for ways to go farther, lighten our loads, and reduce our impacts, so we can continue to do what we enjoy for years to come. As you gear up for warm-weather adventures, be a steward for your sport by using greener soaps and doing your part to protect the waterways we know and appreciate. The dirtbag lifestyle can certainly hold you back from many of life’s fancier accoutrements. But, with a little creativity and imagination, your kitchen productions don’t need to be one of them. 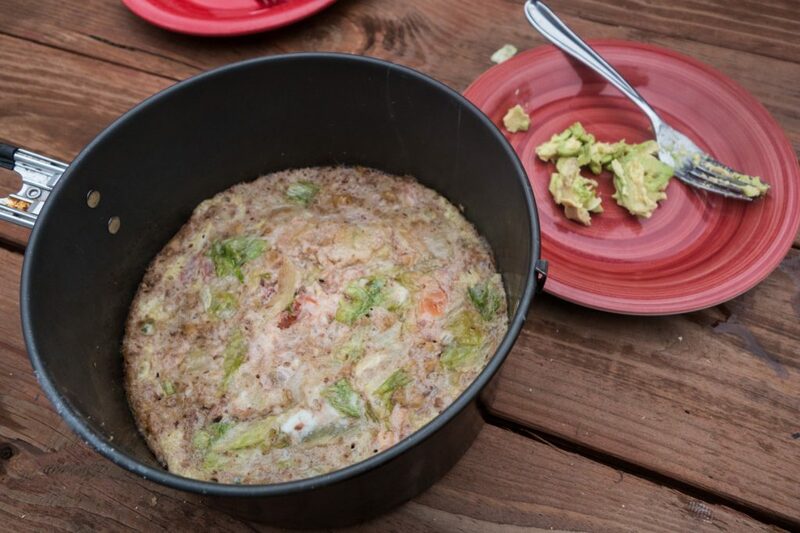 When it comes to the meal that delivers the fuel required for a long day of dirtbagging, this is one easy, filling, and delicious dish that won’t leave you and your companions broke or out of Coleman fuel, and doesn’t take anything you don’t have easy access to—for instance, nothing that requires immediate refrigeration. My girlfriend and I were staying in a one-room cabin while volunteering in Northern California, sans electricity, which meant we had to get creative with our meals on a propane stove. 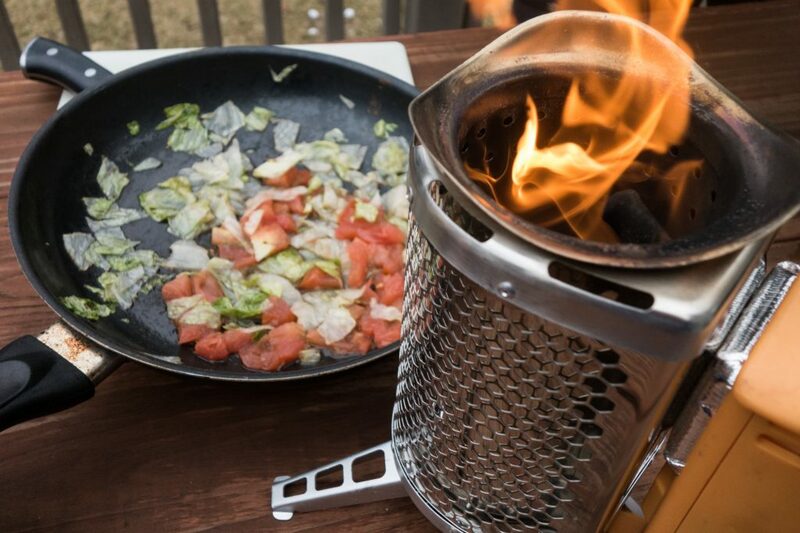 But, this recipe is doable on any camp stove or the single-burner in the back of your van. I was the early bird and was sick of eating the standard scrambled egg breakfast in the morning, so, with a little extra time, this became the go-to morning kick-off. This meal is great for car-campers, van lifers, and dirtbaggers alike and serves enough for two people. Sautée some veggies (ideally, leftovers from last night’s dinner) in a single pan. Grab a pot and cover the bottom with avocado or olive oil. Scramble the eggs in the pot. Add ¾ cup of almond milk to the eggs. Add 2 to 3 handfuls of walnuts. Stir the pot’s contents, until you have an even mix. Take a third pan, and place it over top of the burner. 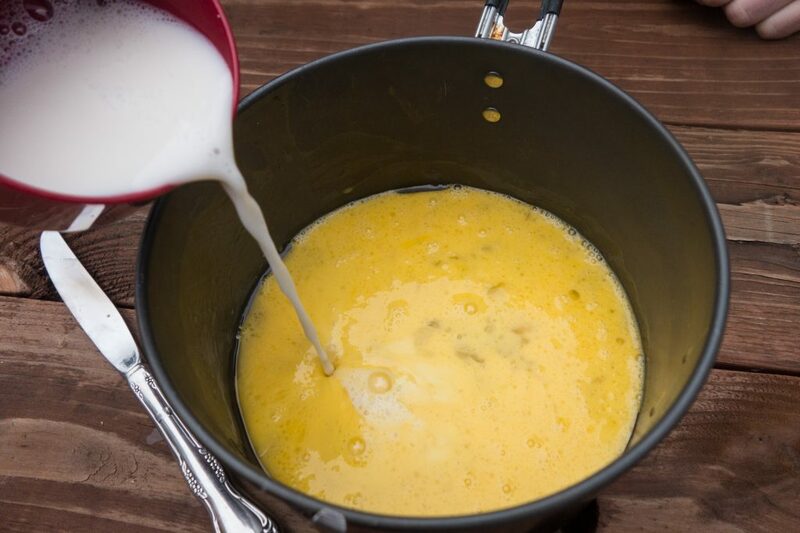 By adding an extra layer between the stove and the pot you’re actually cooking with, you’re dispersing the heat slightly more and creating a more reliable simmer. Place the pot with the egg mix on top of the pan and cover it. Let your soon-to-be “quiche” bake for 20 to 30 minutes, or until it is relatively dry on top. In the last few minutes it’s on the stove, sprinkle cheese on top of the quiche as desired. Let your “quiche” cool for 5 minutes. 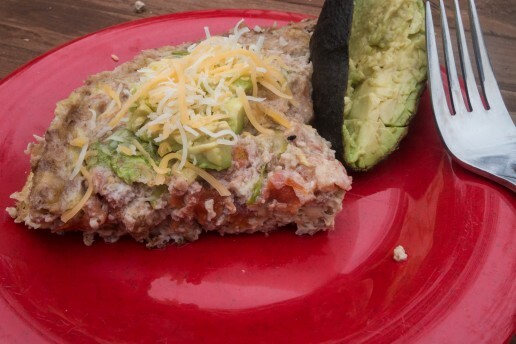 Cut up your quiche and top with avocado and cheese. Each year, thousands of people head to Georgia or Maine, looking to start their journey across almost 2,200 miles of wilderness. 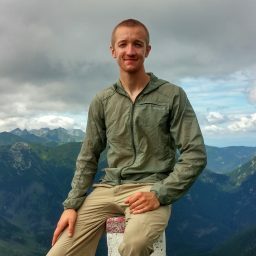 Most of these Appalachian Trail hikers choose to work their way north, giving them time to build up strength for the harder sections later and to get the full (social) AT experience. 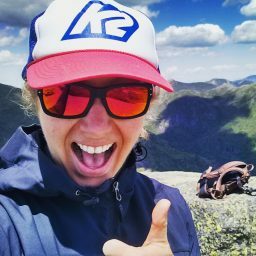 So, if going northbound on the AT is the more popular option, then why should someone start their thru-hike in Maine? 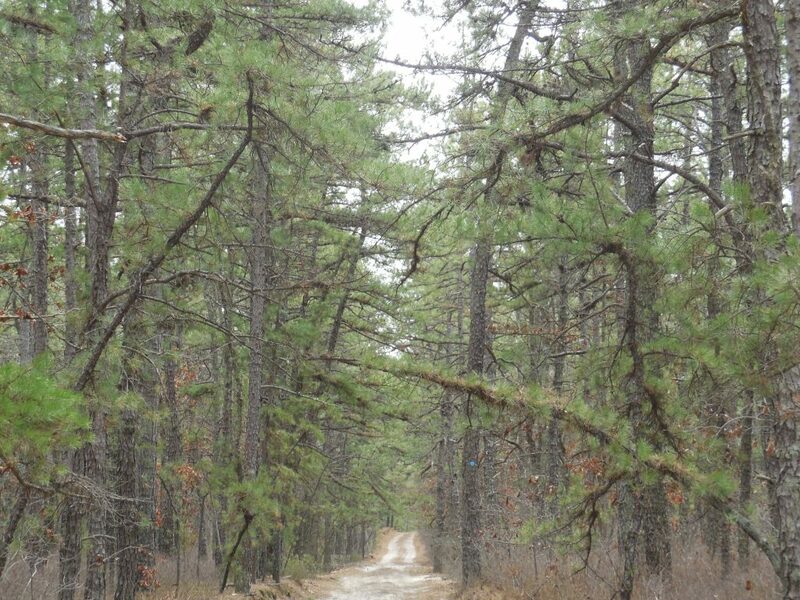 It turns out, heading down the trail might be the way to go. One of the biggest complaints against going southbound (SoBo) is the beginning: It can be boring, especially when compared to the finale. 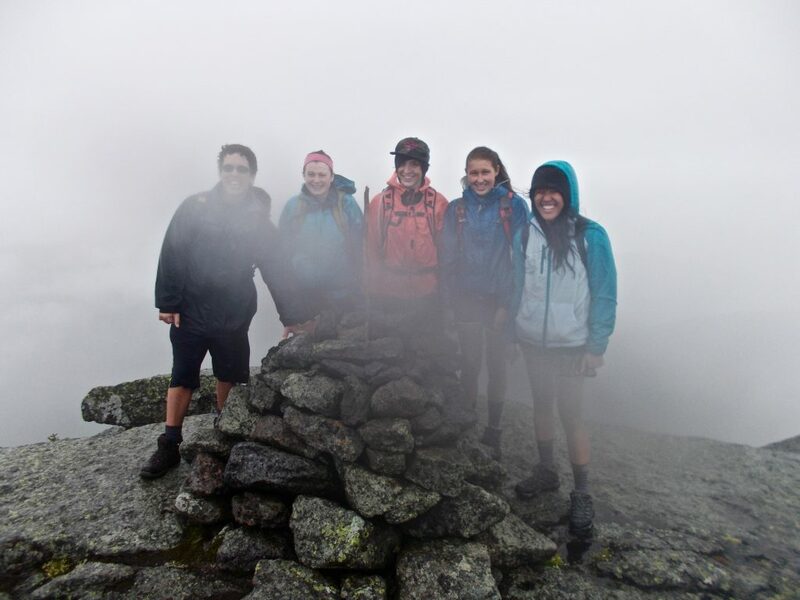 When starting in Maine, hikers spend day one on Mt. Katahdin, the highest and toughest mountain on the trail. 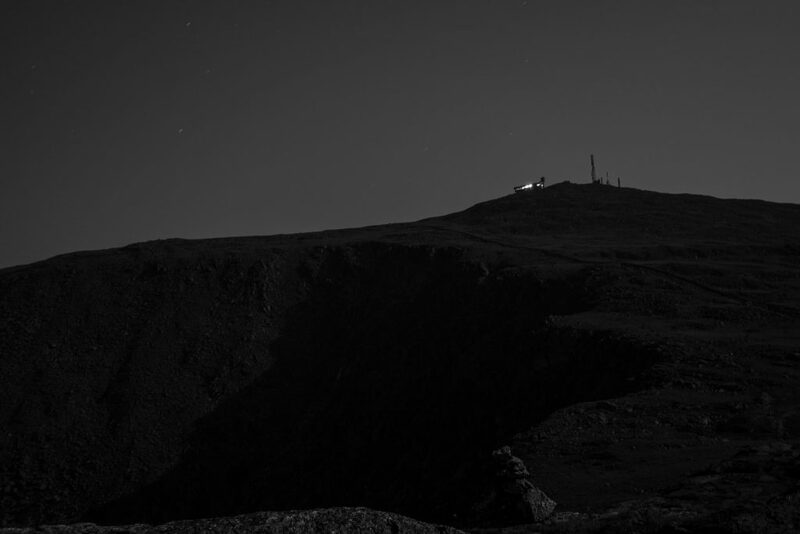 Even after the 4,200-foot ascent, the mountain is immediately followed by the 100 Mile Wilderness, which requires eight to ten days without resupply—which means you’ll need to carry all of your food. 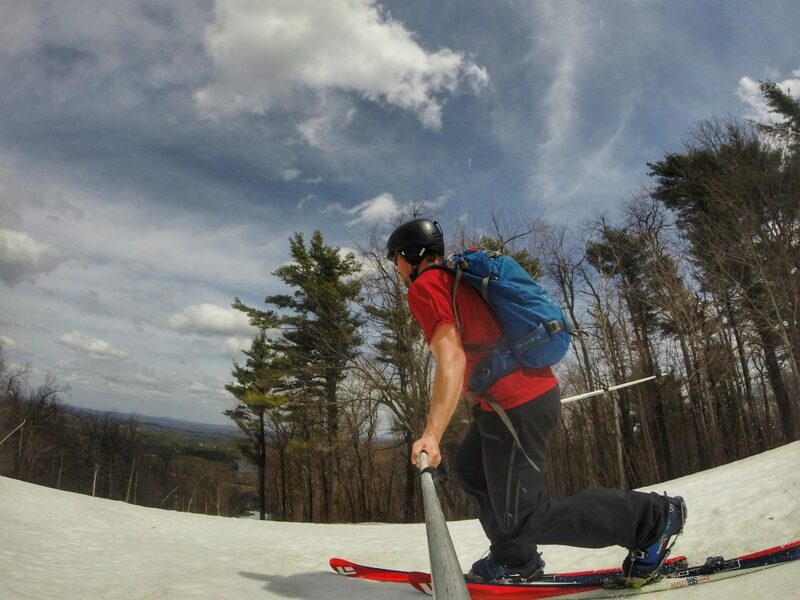 Plus, the Presidential Range and New Hampshire’s White Mountains loom in the distance, making the first few weeks a challenge, to say the least. From the start, this route is only for those of strong will and even stronger bodies. But, once the trial by fire is over, it’s a (relatively) easy hike from there on out. Half of the northbound journey’s allure is the social aspect. With so many other hikers headed the same way, it’s easy to find a group to join you. The downside? 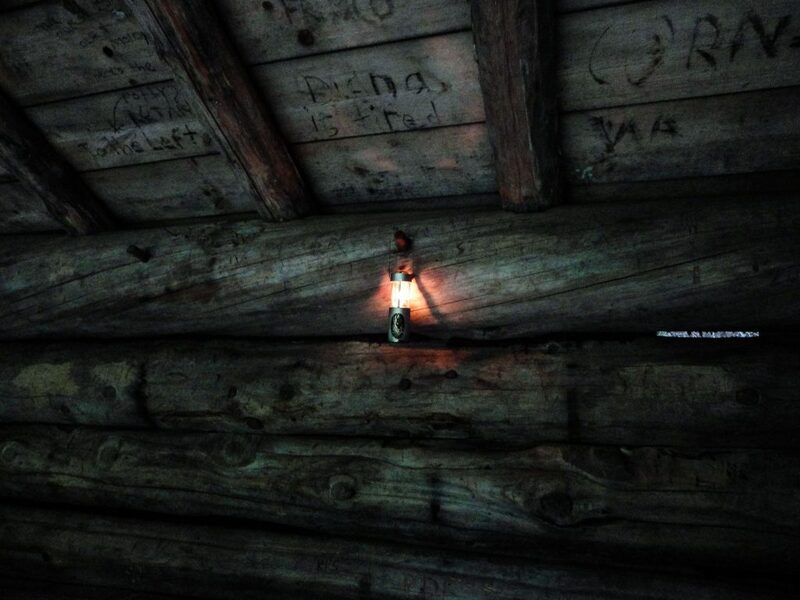 Finding room in the shelters along the trail becomes a pain. When traveling southbound, you can worry less about shelters being crowded. At the beginning, there aren’t too many other hikers trying to camp out—they’re all in the Southern areas—and by the time you start running into northbound hikers, a majority of them have either dropped off the trail or have spread out. So, while the solitude might be overwhelming at times, at least you’ll know where to sleep when night rolls around. 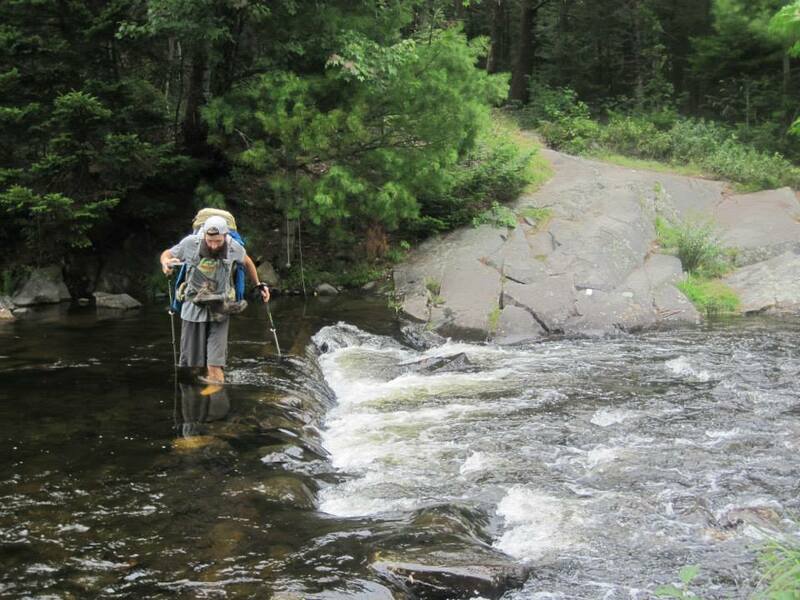 Among the many things that go into planning a thru-hike of the Appalachian Trail, scheduling around the seasonal closure of Maine’s Baxter State Park is one not to overlook. For people traveling northbound, timing is more important if they want to finish in one go. If hikers go too late, they may risk getting shut out of the trip’s last leg when Baxter State Park closes in mid-October for the winter. But, southbound backpackers don’t have that problem; once the park opens in May or June, there is no rush to finish, as none of the Southern parks close for the season. Despite leaving several months later than northbound hikers, those heading southbound have to worry more about summer than winter weather. 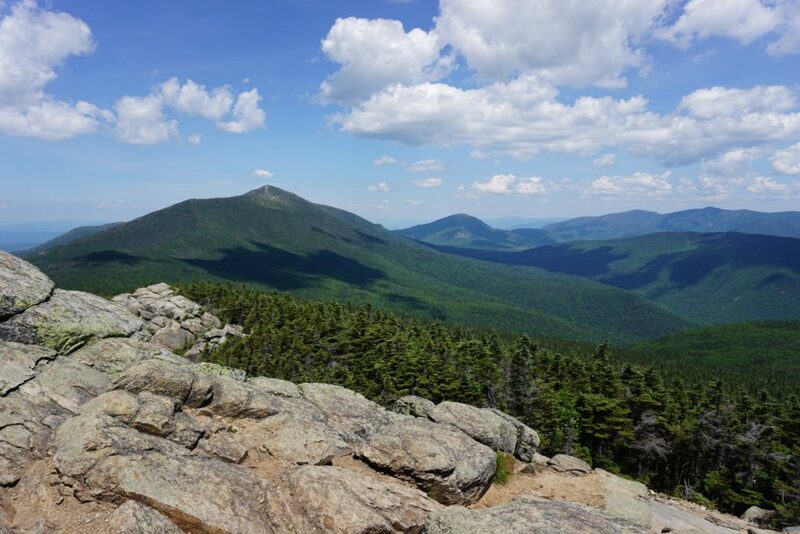 Most hikers going south leave around June or July, once Baxter State Park is open, and are usually traveling through the summer and fall months. Only during the last month or two does the winter weather start to kick in, though, by that point, you’ll be much further south. 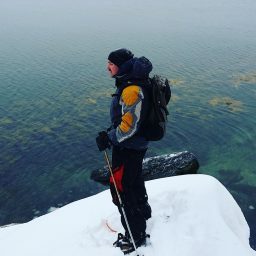 On the other hand, backpackers heading north are usually dealing with winter weather in March and April, and still have cold conditions to look forward to in New Hampshire and Maine when they arrive in September or October. 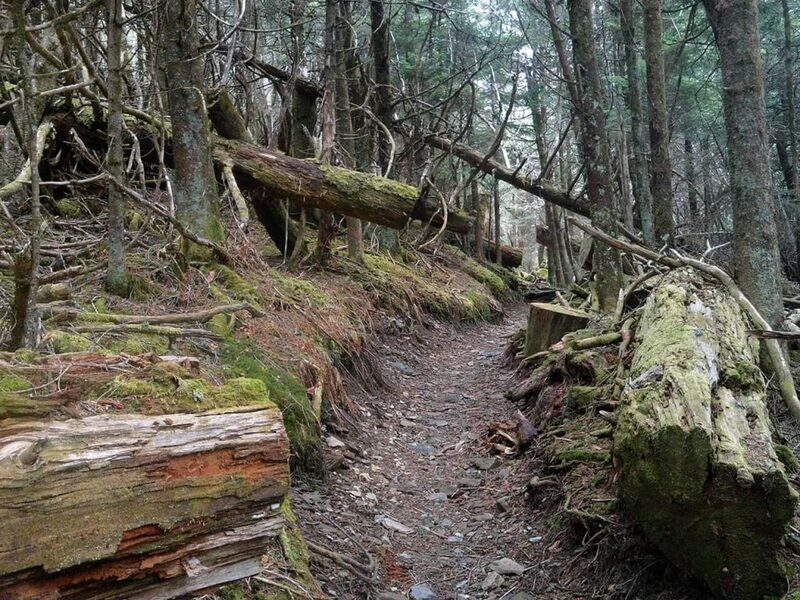 Hiking the Appalachian Trail is without a doubt an impressive feat for anyone to accomplish, and being a part of the 2,000-Miler club is something to be proud of, no matter how long it took or what route worked out best. 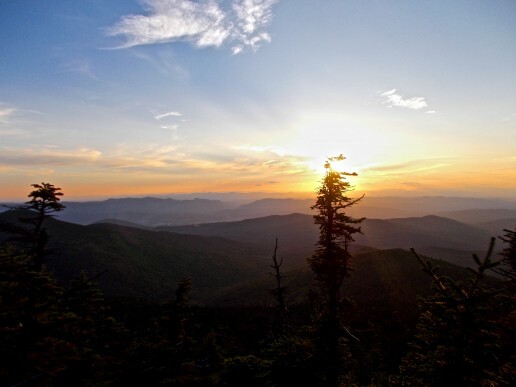 However, out of the thousands of people who have completed the journey, only about 1,250 hikers, as of 2014, have completed the SoBo Appalachian Trail. 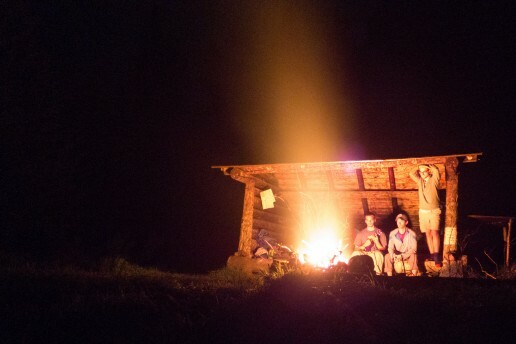 That means, anyone who joins that list will have a little bit more to brag about at the next thru-hikers’ bar. Some of us are goal-oriented hikers. It’s nice to have some larger objective to work on and have something to guide and motivate us to get out more. 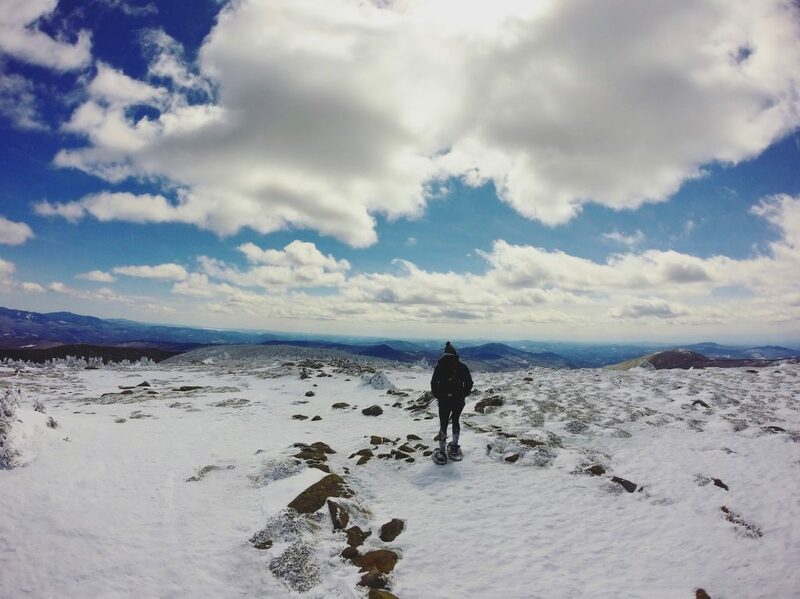 If you live in the Northeast, and especially if you enjoy hiking New Hampshire’s peaks, making your way to the top of all of them is a seriously worthy objective. 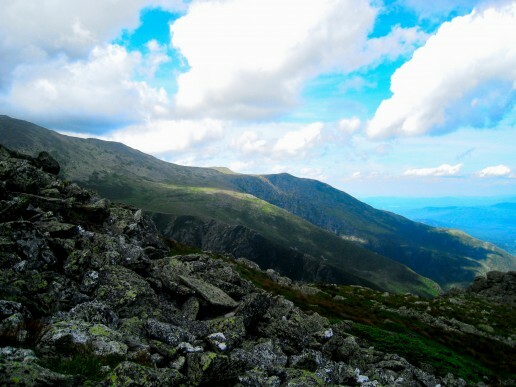 New Hampshire has 48 peaks at 4,000 feet or more in elevation, all of which are serious undertakings individually. But, put them all together into one big to-do list? That’s a goal that takes some serious dedication and hard work. Each year, hundreds of people hike their way through these lists, exploring different routes and trails and getting well-acquainted with peaks and places that had only been names on a map before. And, at the end, it would be hard to deny finishers are some of the most experienced, expertise-packed hikers in the state. The most recent copy of this essential guidebook has all of the most up-to-date information on trails, great views, time estimates, mileage, and other key factors. It also comes with folding maps that are helpful to check out before the hike. And, in the back, you’ll find a complete checklist of all 48 peaks for you to tick off. You can also find the official list here. 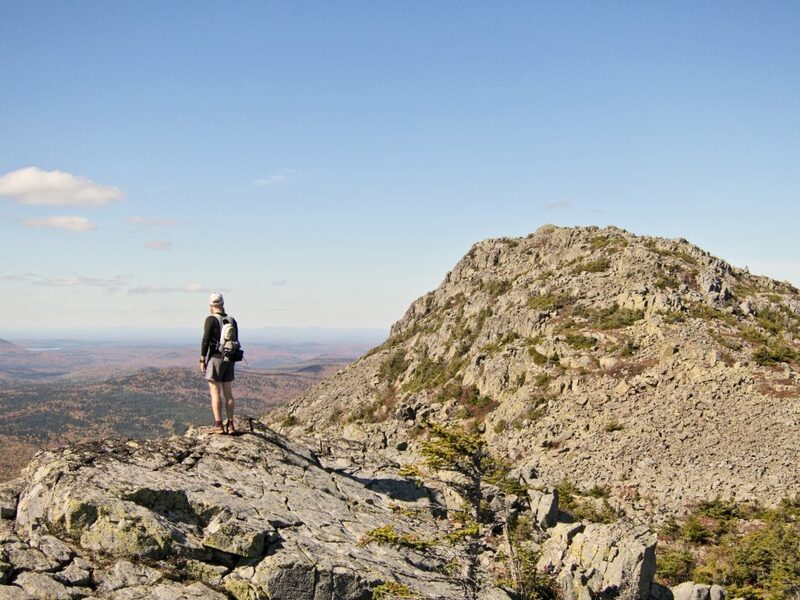 A page like “Hike the 4,000 footers of NH!” is a constantly updated, crowdsourced resource. Recent information like road closures and trail conditions is always easy to find. Plus, the group serves as a massive community and a great, experienced pool of people to ask questions and get advice. 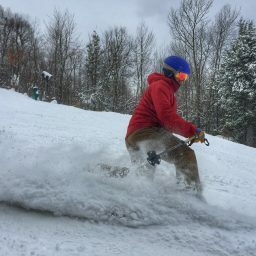 You can also use websites and forums like trailsnh.com, newenglandtrailconditions.com, and vftt.org for up-to-date trail conditions. Keep an eye on it a week before, a day before, the night before, and the morning of your hike. The White Mountains’ notorious weather can change in an instant, so it’s best to monitor it as much as possible to avoid surprises and keep you safe if it looks like it might turn ugly. 4. But don’t always be deterred by it! If you wait for good weather on every hike, however, you’d never finish. As long as you have the right gear, getting after it in inclement conditions, like rain, can be just as fun. And, it will show you a whole other side of the mountains you’re climbing. 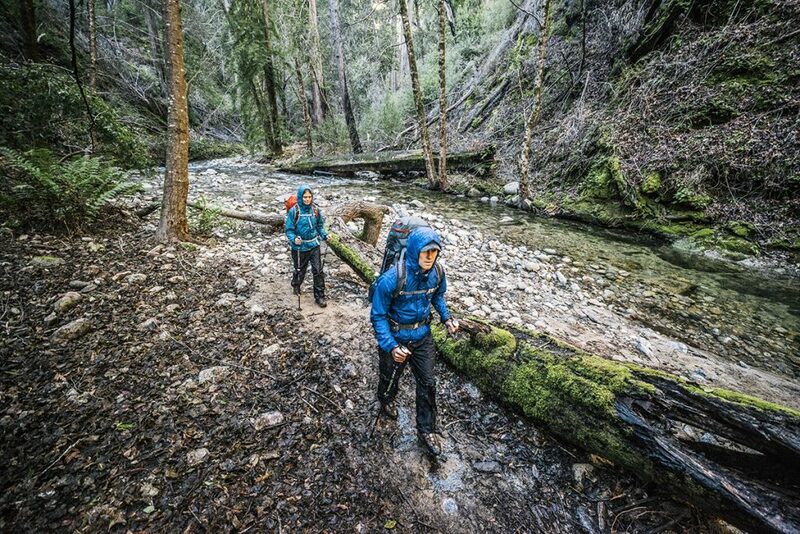 Obviously, don’t go hiking when it’s stormy or too rough, but a little rain never hurt! Similarly, don’t let the winter slow you down. For this latter point, get a pair of snowshoes first, and take to peaks like Mount Pierce and Mount Hale to make the leap into winter hiking. If the motivation for completing all 48 peaks isn’t enough, having friends with which to work through the list adds an extra level of excitement and drive. Encouragement when the trail gets tough or even when you’re not feeling up to hiking can go a long way. Plus, an adventure with friends, especially when you complete such a major accomplishment, can be extremely rewarding. Your final hike is a big day, so plan ahead to make it special. Do some research to figure out which mountain you want to do your celebrating on. 7. Don’t forget other peaks! 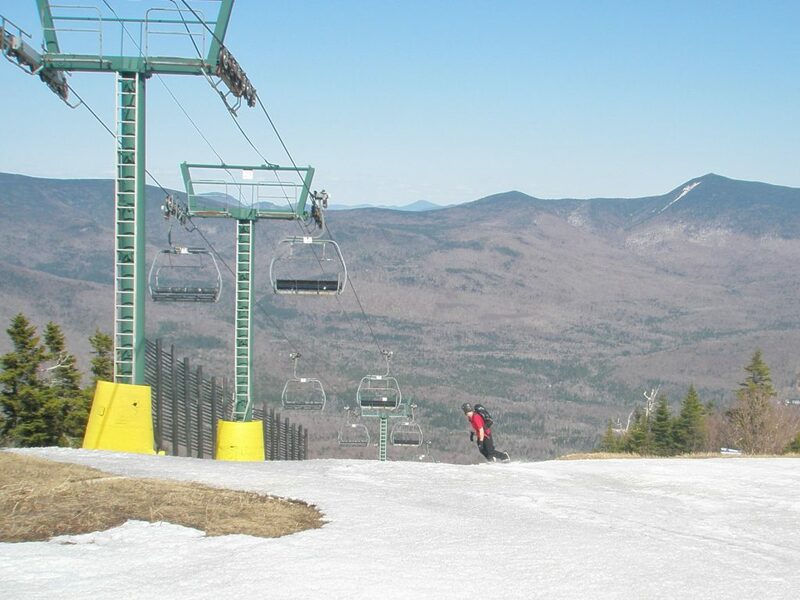 They may not be as tall, but New Hampshire (and the Northeast at large) has plenty of other mountains just as enjoyable as the New Hampshire 48. 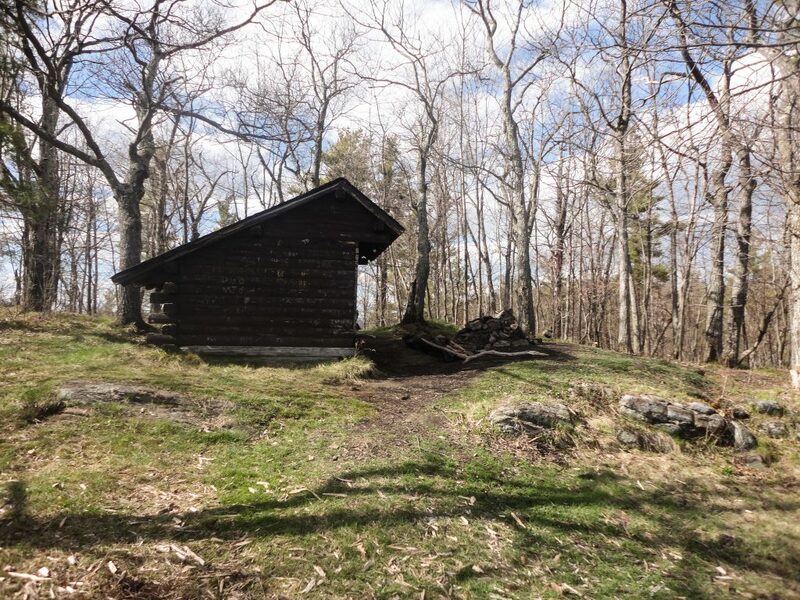 Hike a shorter one like Mount Cardigan or Mount Willard, or even head over to New York and start ticking off their Adirondack 46. Don’t lose sight of all the other great things to do in the region! 8. Double-, triple-, or quadruple-up! 48 mountains don’t have to become 48 hikes. Lots of these peaks are close enough together that you can (or might even have to) swing through multiple ones in a day, thus saving you time. If you’re feeling really ambitious, think about taking on something like the Presidential Traverse. 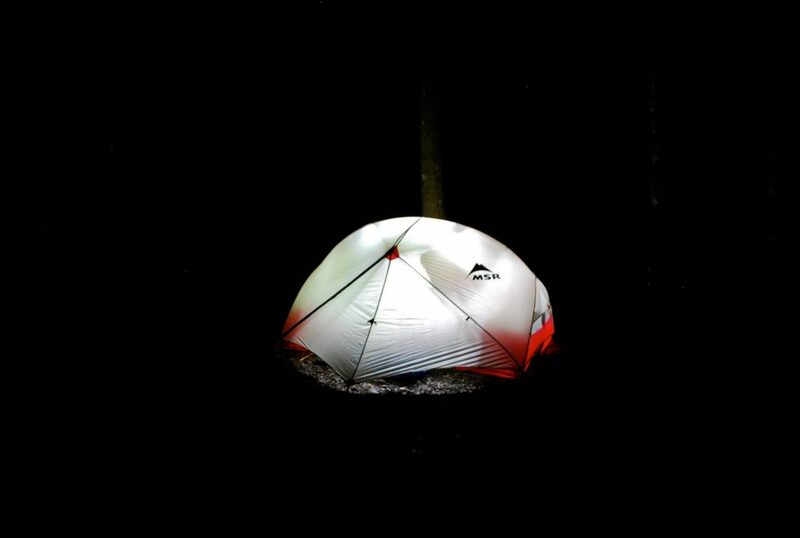 With one very long day, you can bag eight of the largest on your list, plus a few extras, and it’s as rewarding of a day hike as you’ll find anywhere. 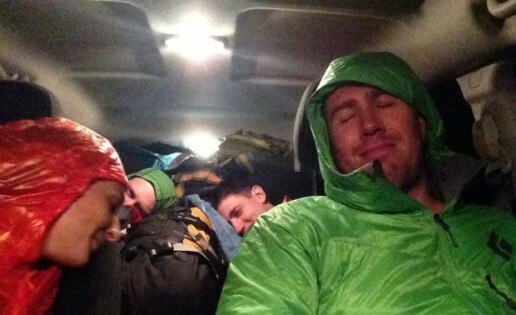 For longer trips, the route also makes a great weekend overnight. Aside from being recognized for your major accomplishment, as well as getting a scroll and a cool patch to sew on your backpack, joining a club of hikers more than 10,000 strong is a solid opportunity to contribute to a great organization and support group. 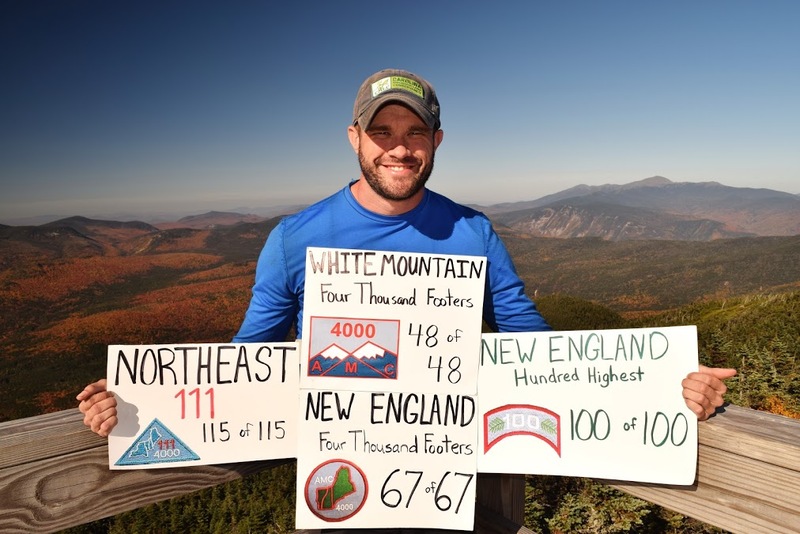 They also offer recognition if you go on to complete all of New England’s 67 4,000-footers or if you complete New England’s 100 highest peaks. They also recognize those hearty souls who brave the elements and dare to climb both lists’ peaks in winter. 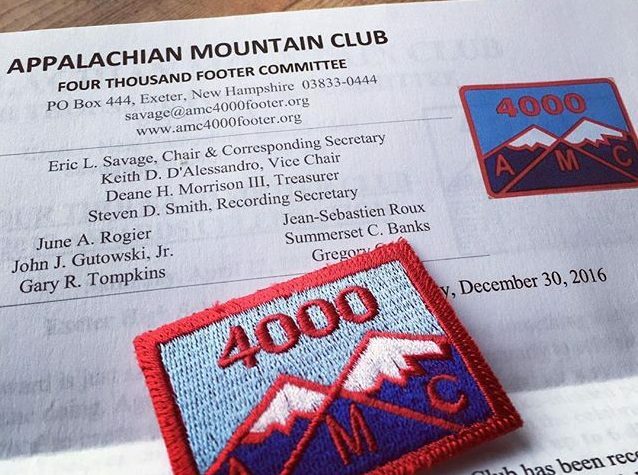 Simply visit the AMC Four Thousand Footer Club’s webpage, and fill out an application. Be sure to include the date of your final peak, as well as a brief account of one meaningful hike you had along the way. Submit a $10 application fee, so you can receive your scroll, which is personalized to include your name and completion date, and your patch. Each year, the Four Thousand Footer Club has a reunion and recognition ceremony for list-finishers at the end of April in Exeter, New Hampshire. This year, EMS is supporting the event, giving away dozens of raffle prizes and celebrating alongside hundreds of accomplished hikers. Not a finisher? No problem: The event is free and open to all, and is a great opportunity for meeting aspiring hikers to get into the game. 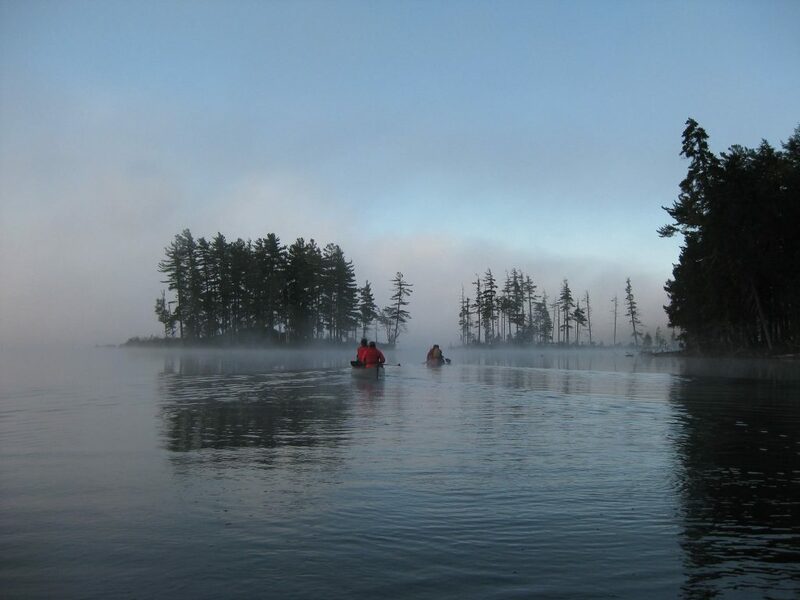 Please visit their website for more details, and come to the event at Exeter High School on April 22nd to see what hiking the New Hampshire 48 is all about!